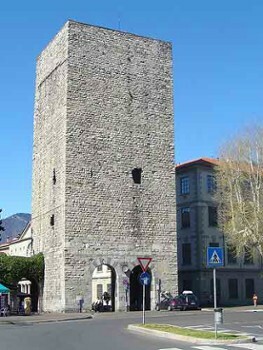 Gate Tower is an imposing fortress, 40 meters high, built in 1192, on the initiative of the mayor Hubert de 'Olevano, to defend the entrance to the city of Como. 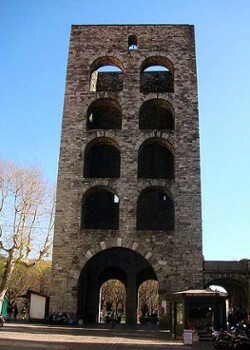 In the fourteenth century the great tower was flanked by two other pentagonal towers, much smaller, repeating the pattern of the arches opening inward. 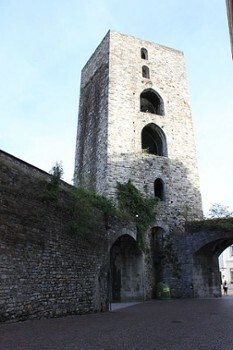 In the sixteenth century they are further reinforced with a semicircular bastion (visible remains in a nearby subway). 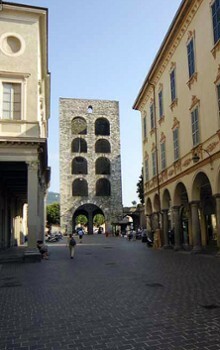 Gate Tower is one of the most interesting examples, in Italy, of military architecture of the Romanesque tradition. The largest fortification has a massive appearance on the outside, while on the side towards the city is lightened by four rows of arches that correspond to the four internal plans, (now destroyed). Strangely the eight arcs are off-axis than that, much larger, on the ground floor. 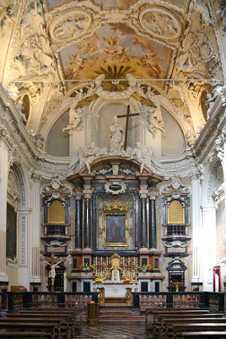 Nearby Things to Do include: Castles & Ruins such as Broletto and Baradello Castle; Museums such as Civic Art Gallery and History Museum G. Garibaldi; Monuments such as Statue of Alessandro Volta and Monumento ai Caduti per Servizio; Villas such as Palazzo Giovio and Villa Gallia; Towns such as Brunate and Blevio; Churches such as Santa Cecilia and Santuario del S.mo Crocifisso.